expand and deepen with each passing day. He stated that both countries were linked together in historical, religious and cultural relations and the people of the two countries enjoy sincere fraternal relations. who called on him here at Aiwan-e-Sadr. this project would have positive and far-reaching impact. 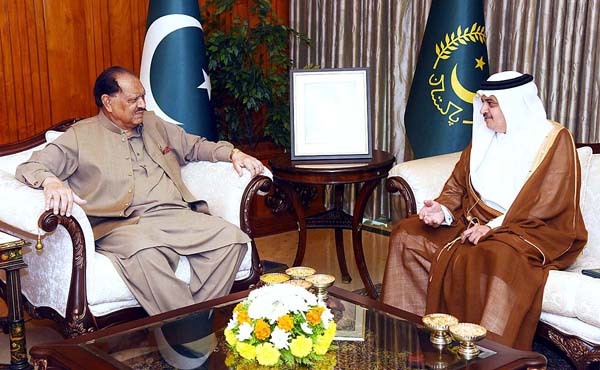 Expressing grave concern over the deteriorating situation in Burma and Yemen, the President emphasized that the Muslim Ummah should work in unison to address these issues.